It is revelation that brings revolution. If you desire revolution in any area of your life, be it in your career, ministry, business, health, marriage or relationship, then you need to get revelation concerning that particular area. Revelation is the breaking down of the word into absorbable molecules, which enhance an in-depth understanding of the word of GOD. So many times we find out that we read scriptures without understanding what it means, it is due to lack of revelation. Revelation enables us to know the steps to take according to the plan of GOD for our lives, thereby enabling us to fulfil purpose. But it is impossible to get revelation without the help of the Holy Spirit. 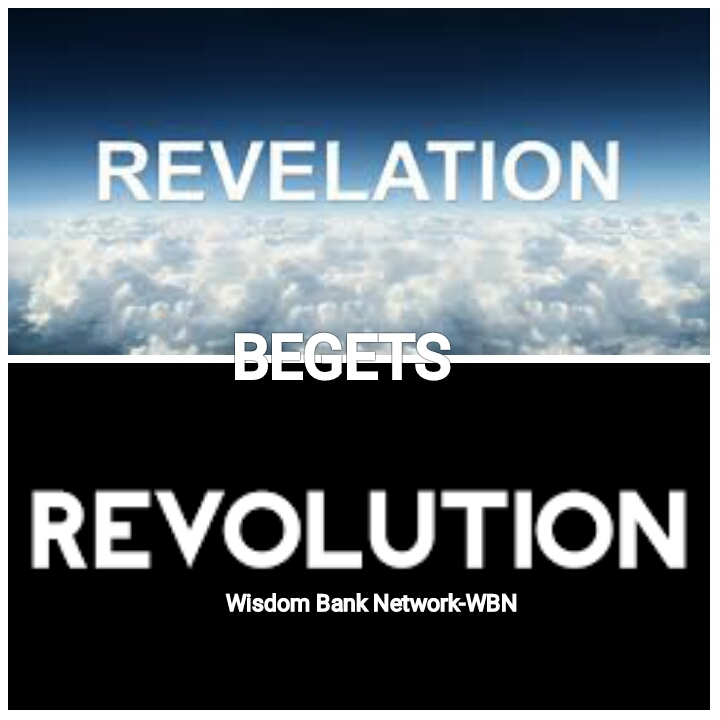 It is the Holy Spirit that helps break the word into bits easy to understand as relates the area we desire revolution. Revelation is also the ability to see scriptures in a pictorial form. It is when the Holy Spirit builds a picture of the scriptures we are reading and shows it to us in form of film(or pictures). It brings us to a point of assurance, because hardly can anyone doubt what he sees. Have you ever read the scriptures to a point when you say; “Ooohh…..I see”? That’s the point of revelation. It is point that the Holy Spirit reveal the intention of GOD to you from the word of GOD for your desired revolution. The word of GOD is the Wisdom Bank, it has solution for any challenge you may be faced with in life. The reason why we are not getting the solutions is because we are not assessing the revelation of the word of GOD, we only read the letter-realm of the scriptures like novels. If we read the scriptures same way we read novels, we will never assess the pictures(revelation) behind the scriptures~2Corinthians3:6. 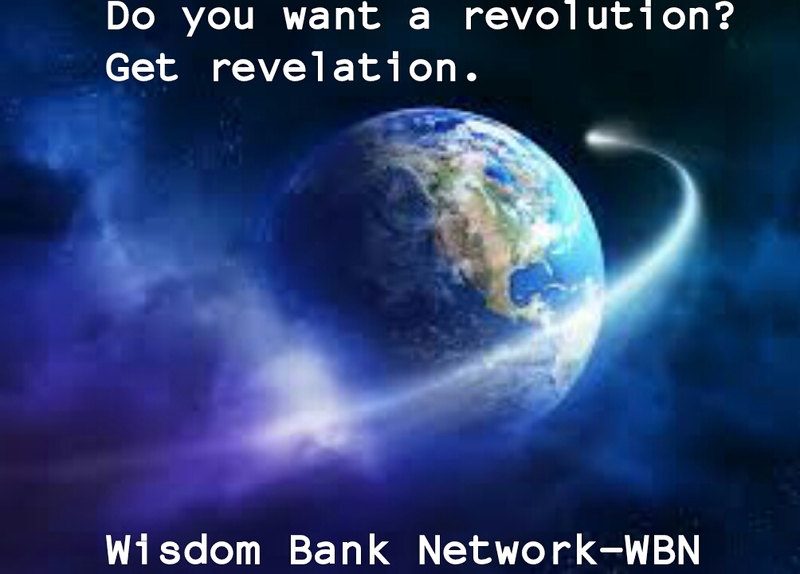 Let us round up here on Wisdom Bank today; But go with this truth; WHENEVER YOU WANT TO READ THE SCRIPTURES, INVITE THE HOLY SPIRIT TO ENHANCE YOUR UNDERSTANDING, AND HE WILL REVEAL THE SCRIPTURES TO YOU IN PICTURES, THEREBY ENABLING TO EXPERIENCE A REVOLUTION…BE WISE…!! !